In this blog entry, Kenneth Tucker, author of Workers of the World, Enjoy! Aesthetic Politics from Revolutionary Syndicalism to the Global Justice Movement writes about Aesthetic Politics and the Tea Party. Social media seem to be everywhere today. For example, while careful observers have discussed the particular historical, economic, and social contexts that influenced the recent democratic struggles in the Middle East, there is no doubt that social media have played an important role in facilitating the Arab Spring. From Facebook to cell phone photos, social media not only conveyed information about protests in Tunisia, Egypt, and elsewhere, but portrayed powerful images of protest that helped spark struggles throughout the region. The rise of social media is but one instance of the power of images to influence politics and social movements in our mass-mediated world. The widespread availability of televised and digital images has promoted the emergence of a distinctive aesthetic politics in contemporary societies. Aesthetic politics refers to the role of images, drama, and emotions in shaping politics and public discourse and action. It promotes a more fluid, theatrical, and less centralized understanding of politics at odds with conventional understandings of politics as rational debate or the delineation of clear public policy proposals. Aesthetic politics can help make sense of the contemporary political scene in the United States. We are all aware of the role of constructed images in electoral politics today, for politicians have to convey sincerity, authenticity, and the like. But this notion of aesthetic politics can also aid us in understanding the Tea Party. Critics from Sean Wilentz to Richard Bernstein tie the rise of the Tea Party to social changes and long-standing movements in American history. They note that in recent years ideas associated with radically conservative groups marginal in the 1950s and 1960s, such as the John Birch Society, have become more acceptable to mainstream audiences. Broad social changes from globalization to the shrinking power of nation-states to control their borders and local economies have played a role in the increase of conservative politics worldwide. Distinctively American factors include the rise of conservative think tanks such as the Heritage Foundation and the emergence of conservative media from radio talk shows to Fox News. Further, wealthy financiers such as David Koch have provided the resources that allowed the Tea Party movement to become an important player in American politics. Yet these analysts tend to dismiss the Tea Party as ideologically incoherent political know-nothings, as libertarian and religious themes intermingle and many participants decry government spending while advocating increases in Social Security and Medicare. They also have difficulty explaining why Tea Partiers are so angry, and why the movement resonates with many in the public. Aesthetic politics can illuminate these issues. Early meetings of Tea Party groups were publicized and coordinated through blogs and Facebook. More significantly, the election of Barack Obama, the great recession of 2008, and the continuing economic turmoil created not only confusion about the proper policies necessary to combat these problems, but also promoted a crisis among many (primarily white, older) Americans about a key identity term, i.e. what it means to be an American. Tea party members seized upon an iconic American symbol, the Boston Tea Party, to define their “Americanness” and anger at the federal government. Demonstrators often dress in tri-colored hats and other colonial costumes, and draw on Revolutionary era imagery, creating flags with slogans such as “Don’t tread on me.” They express their opposition to government spending and taxes through long-standing cultural codes in American life, such as the heroic Founding Fathers, the centrality of the constitution in political life, Horatio Alger stories of rags to riches, and categories of the deserving versus the undeserving. Obama became a symbol of everything they detested, painted as a big-spending liberal who wanted to illegitimately redistribute wealth to the poor, and who most likely was not a real American (up to 30% of Tea Partyers do not believe that Obama was born in the U.S.). But this political debate was also about tone and emotion, fears and fantasies. As politics becomes theater, dramatic criteria such as emotional identification, dramatic performance, and visual effects become ever more important. The election of the first African-American president played on the complex emotions surrounding race and privilege that have long been a part of American life. The Tea Party tapped into an intense anger fed by cultural and economic insecurity, given voice and image by the emotional outbursts of media figures such as Rick Santelli, Glenn Beck, Michelle Bachman, and Sarah Palin. The Tea Party is as much about rage, vehemence, and authenticity as it is about policy or even facts. As one Tea-Partyer put it, mind-set and values always trump the facts. Such a politics is volatile and not coherent, as fluid as the images on which it is based. It is no surprise that the U.S. has had three “wave” elections in a row. The consequences of aesthetic politics are not inherently left or right—but we dismiss aesthetic politics as superficial or silly at our political peril. 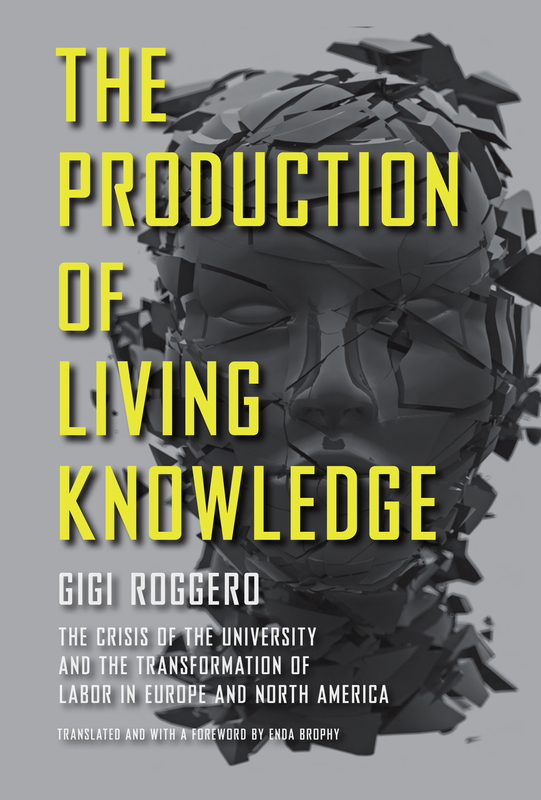 In this blog entry, Gigi Roggero, author of The Production of Living Knowledge addresses the economic crisis and how it goes hand in hand with the crisis of the university. The overlapping images during our hot August, of the crash of the financial markets and the riots in UK, are exemplary: the old world is crumbling. To say this nowadays seems obvious: you only need to read the newspapers, or to watch tv, to hear the frightened voices of politicians, bankers, and opinion makers. And the university is crumbling with that old world. We could state that we are living in a revolutionary situation, if we rethink its classic definition: global capital’s ruling elites cannot live as they have in the past—workers, the precarious, students, the poor, the productive multitude don’t want to live as they have in the past. Nevertheless, this was not so obvious some years ago, certainly when I embarked upon the research that would lead to The Production of Living Knowledge—or co-research, as we call it, i.e. the cooperative production of knowledge and subjectivity. Remember how the dominant post-1989 rhetoric was that of “the end of the history”? And then there was the supposed “golden age” of the New Economy, with wealth for all, and the ideological proclamation of the end of the ideologies, which from their point of view meant the end of struggles and possibilities for social transformation. But as luck would have it, that (never-sealed) history was forcefully “re-opened” in Seattle at the end of the 1990s: Microsoft’s city became the city of the world’s new specter. In the meantime, bubble after bubble, crisis became no longer a stage of development, but a permanent condition of global capital. Today the bubble, and no longer the cycle, is the insuperable form of the economy. And the hope for Obama, which has become hopelessness, makes one truth evident: the Bush nightmare was a continuation of the Clintonian dream by other means. But what are these bubbles? Let’s consider how they have occurred one after another in the last ten years, with wild rapidity: from the ‘net economy to the subprime crash, the explosion of public debt, and maybe an ecological, or social network bust next. The question is: what is inside the bubble? There is the Internet and networks, i.e. social cooperation; there is debt, i.e. welfare and the social needs—education, communication, housing, healthcare, mobility; there is life, i.e. the production of human by human. The flesh and body of the bubble-financial economy is, in other words, the common. The crisis of the university is also permanent and insuperable. The growing importance of budget administrators, managers and rating agencies to academic organization and ranking demonstrate the meaning of the financialization of knowledge, the corporatization of the university, and the creation of an education market. And it highlights the intimate connection between the economic crisis on the one hand and the crisis of the global university on the other. But in the book all these topics— the double crisis—are tackled from the perspective of precarious workers, the unemployed, the working poor, the debt generation: that is to say, from the perspective of living knowledge. And more precisely, from that of common struggles against exploitation, for the self-organization of knowledge production, for the claiming of our right to bankruptcy and to not pay for their crisis. We have had a succession of experiences in recent years: from Italy to California, from Greece to the insurrections in North Africa, and in the last two months in Spain or in Chile. Leading these struggles, a common composition is emerging: young people, highly educated, producers of knowledge, and precarious cognitive workers or the unemployed. Every day they experience the end of school and of the university as elevators of social mobility. Different movements of living knowledge with a common desire: the re-appropriation of the richness produced in common. Since there is no longer anything to defend, these struggles show us that the double crisis should become a great opportunity. In this way, The Production of Living Knowledge—and I hope it is a dangerous book!—must be a tool to understand, think and act to build up a new university, and a new world. That is to say, a common world. In this blog entry, Sonic Spaces of the Karoo author Marie Jorritsma considers the issue of fracking and the dangers it poses to the South African lanscape and culture she studied. In Graaff-Reinet as well as many Karoo farming towns, much has stayed the same in the period between submitting the manuscript and its appearance in print. The descriptions I give in Chapter One remain relevant today and the misgivings I express about the change from livestock farming to game farms in the area are also still valid. 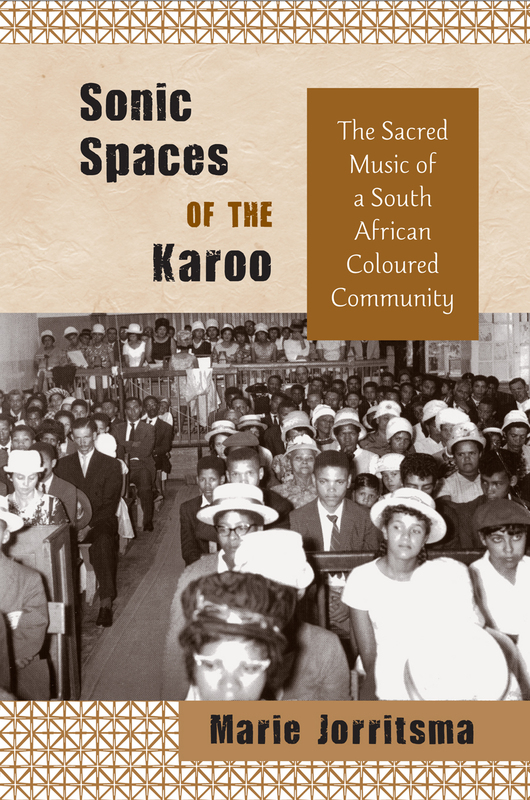 However, a new challenge is facing the Karoo landscape, one which has recently come to the fore since the completion of Sonic Spaces of the Karoo. This blog thus affords me the opportunity to mention this very disturbing development to potential readers. A major oil company is seeking permission to use a vast area of the Karoo landscape (90 000 km) for Hydraulic Fracturing (or “fracking”), a process used to obtain natural shale gas from rock formations situated deep underground. Water, mixed with sand and chemicals, is pumped down a drilled hole into the rock at high pressure. This causes the rock to crack, therefore releasing the gas. Sites are usually active for between 5 and 8 years, after which productivity declines rapidly. There are several serious environmental concerns regarding fracking in the Karoo. First, there are suspicions that some of the chemicals used are carcinogenic and therefore harmful to humans and the environment. These chemicals remain in the soil and can pollute the underground water table in the area and ultimately threaten the quality of drinking water (for some time there has been concern about this at fracking sites in the United States and much debate has been generated in the U.S. media as a result). Second, the fact that the Karoo and South Africa generally are already water-deprived areas raises questions of where the millions of liters of water required for fracking will come from. The word “Karoo” derives from an indigenous Khoisan word meaning “dry” or “thirstland;” South Africa receives only 464mm of rain per year in comparison to the world average of 860mm; water is thus already a scarce resource. As I mention in Sonic Spaces of the Karoo, water is an incredibly precious commodity in this area. It allows town communities to thrive, farming to be sustainable and for the Karoo landscape to yield meat and crops which feed many in the rest of the country. The organic nature of many of these products is much sought after in the urban areas and internationally. Practically speaking, these arguments in themselves should be sufficient to sow severe doubts about the feasibility of fracking in the area. I expect that water shortages and contamination in the Karoo may lead to some people leaving the area and for those who remain, life will become more difficult. Food security for the rest of the country in turn may be severely affected. Although I am intensely concerned about these environmental aspects, I am also very aware of what the introduction of fracking will do to the sounds of the Karoo. Will the rural church singing I studied survive? Where will these communities go and how will their music be changed by this dispersal? The Karoo as we know it will change irrevocably; this may be one change that the landscape and its people will not overcome. For those of us whose lives are intertwined with the landscape, its potential destruction is unthinkable.